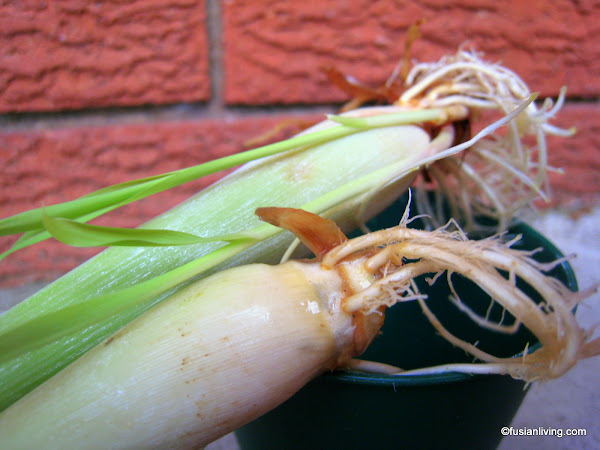 Grow Your Own Aromatic Lemongrass for Thai & Malaysian cooking! | Grow Your Own Veg Blog. Gardening and Food Blog. 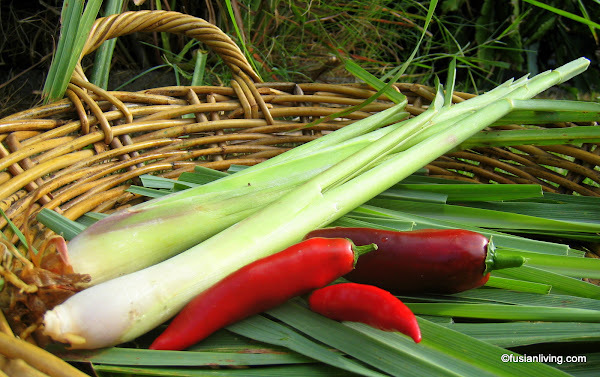 Grow Your Own Aromatic Lemongrass for Thai & Malaysian cooking! A lemongrass plant on first impression looks like wild grass, the kind you might see in an abandoned field that has been overrun by weeds. But upon closer inspection, each blade of grass is actually attached to a thick bulbous stalk with an aroma that becomes apparent as you attempt to twist it away from its base. A mellow lemony fragrance subtly infuses the air leaving you with little doubt why those who first discovered this herb of South East Asian origins decided to cultivate and use it so extensively in their cuisine. Walking through the supermarket the other day, I was astounded at how expensive lemongrass was. I balked at the prospect of having to pay up to three dollars (that's Australian dollars) per stalk, but luckily I am one of the fortunate few who do not have to, as we have several large clumps of this aromatic grass growing in our garden. If you live in a mild, warm or subtropical climate, then there really is no reason not to grow lemongrass! This hardy perennial likes a sunny position and once established, can be harvested year after year. It can be planted directly into the ground, or if space is an issue, then it can be grown in a container although you may need a decent sized pot as lemongrass can grow to a height of over 1 m (3 ft). Lemongrass is low maintenance and the best part is that there are no pests or insects that are attracted to it. Lemongrass can be propagated by dividing an existing clump at the base. You might also be able to find lemongrass seedlings at your local garden centre. ﻿Tip: An easy way to get your lemongrass plant started is to buy a fresh stalk from your grocer, place it in some water and try to get it to root. You can read about how I got my lemongrass stalk to develop long roots here. 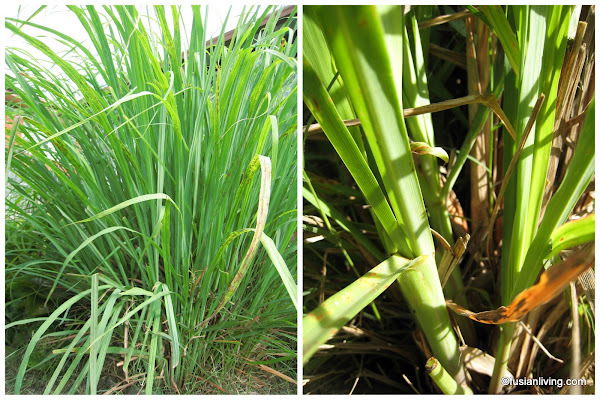 To harvest lemongrass, you can use a pair of secateurs or sharp knife to remove the stalks from the base. Watch out for the leaves as they can be sharp and leave a few scratches on your skin. Lemongrass is widely used in South East Asian cuisine. ﻿We use lemongrass to add flavour or marinate chicken or pork dishes. 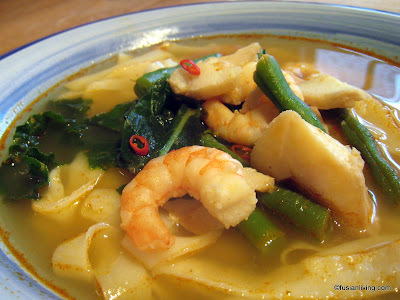 It is also an essential ingredient in Tom Yum soup along with galangal, lime leaves and fish sauce. Trim off the long ribbon like leaves and save the stalks for cooking. Before using the stalks, remove some of the tougher, outer leaves. I usually bruise the lemongrass with the handle of a knife to release the aromatic flavours. Unused portions of lemongrass can be stored in the freezer.